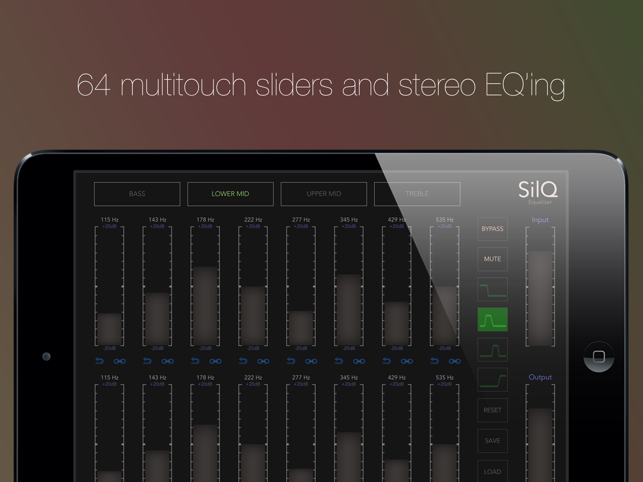 SilQ Equalizer is a sophisticated, high quality 32 band stereo equalizer supporting a great variety of audio inputs (including built-in microphone or hardware) as well as acting as an effect app through IAA and Audiobus. You can also use SilQ Equalizer to improve the sound of you own Music Library! 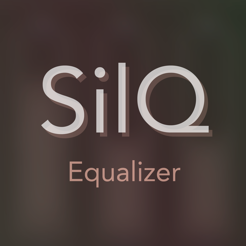 Use SilQ Equalizer to get the feel you want from your track or mix and hit the 'RECORD' button to save the sound that you hear for later use. Maybe you need an easy-to-use equalizer in your live setup? The audible frequency spectre is divided into bands with 8 right/left sliders on each view. 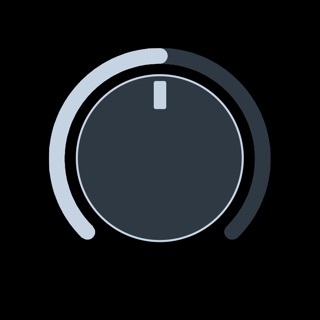 All center frequencies can be adjusted +/- 20dB. 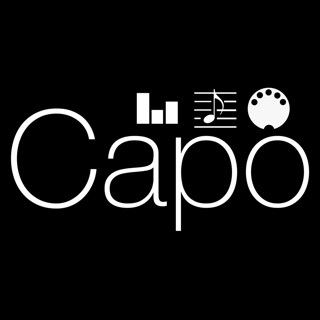 It would help, especially when using this app for live events, to know what the preset Q value is for each band. If the value is 1/3 octave, like most rack-mount 31-band EQs, then the app might be useful for suppressing feedback. but, can you add ff and rw functions? or a scrub even. when i stop a track twice it removes it from queue and i have to navigate back to the track and start over. irratating. i find myself going to protools or even back to scsi drives with my a/v mac and my dbx 1231 to do most of this work with 20 year old software (that still works like a charm, and provides the above features).